Farm labour has always been one of the most difficult and poorly paid jobs and has relied on some of the most vulnerable people. Exploitation still exists, ranging from wage theft and sexual harassment to modern-day slavery. This exploitation is perpetrated by the corporations at the top of the food chain, supermarkets. Their buying power has kept wages pitifully low, but desperately poor people are willing to put up with almost anything to keep their jobs. 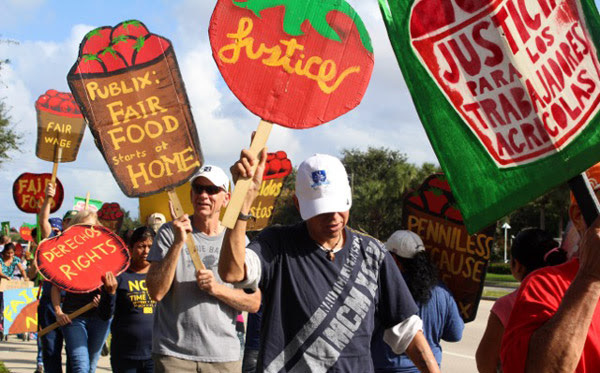 In this exposé, an intrepid group of Florida farmworkers battle to defeat the $4 trillion global supermarket industry through their ingenious Fair Food program, which partners with growers and retailers to improve working conditions for farm workers in the US.